My Story with Vue started about two years ago, I was a noob at the company and in need to show some progress and take some space with my new coworkers. The System that we were working was built in Flash on the front and PHP at the back, and we all knew that at some point we would need to change our stack to something more modern. We started to look for a technology that fits on our need with a small learning process, the first choice was Angular 1, it was free, almost all the team knew and it would be pretty fast to start, but we all read that the Angular 2 was coming and if we took we will need to rewrite the App to Angular 2 or assume that we will start a new app with an old tech. We searched for backbone, React, jQuery and other libs we could work with, but every time we chose a co-worker complained. After some “battles”, we took Ext.js as our Framework and started rewriting our legacy system. With 3 months after we started, I read about Vue on a Blog Post on Laracast, and at that time I really enjoyed the Library and the way it faces the web component stuff. So, how we say it was “Too little too late” for me, I’ve put the Vue on to my “knowledge box” and keep on going with our choice. One Year Later, I really abandon the ideia of changing our frontend tech to Vue and I was very unhappy (even that I was just working with PHP) with the decision we took one year before. that’s the point that things start changing. After a long day of work on a cold night of August I was closing the company and going home, and I realized that someone were still working on another room, so I went there and start talking with this strange developer that I almost never had a conversation with. He told me that he already built a App with Vue.js for another company and said that it was great to use it, and he had some trouble to start using in our company too. 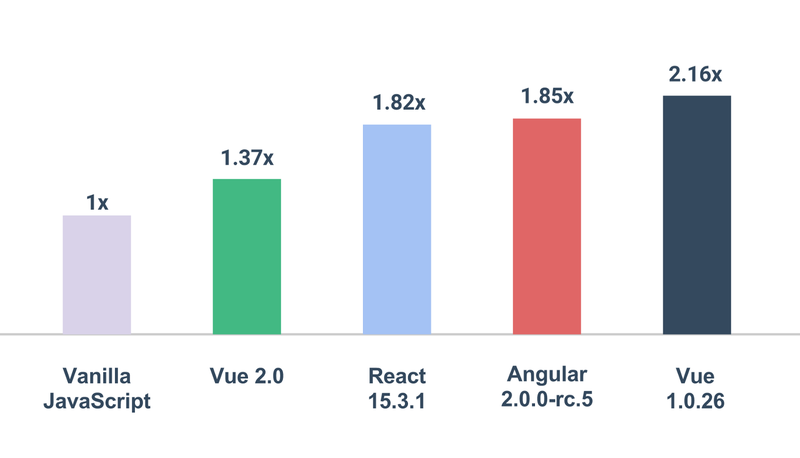 After that night we started talking almost every day about Technology and mostly about Vue and its ecosystem, it didn’t take too long and I was studying every day Vue and all the new stuff coming to the frontend stack like webpack, browserify etc etc etc. As I said before we already had a team working on a different project and using jQuery basically because all team had experience using jQuery and the project needed velocity. the learning curve was very small to start with as everybody knows a little bit of jQuery, but we didn’t know if it would be maintainable as a project grows. The benefit was that we had lots and lots of plugins that would be very useful, but we still didn’t found a middle-man, actually, I had one, and we’ll see it! I don’t know were this information appeared but I didn’t care! Vue became very fast!! Our first project with Vue started with a team of 4 developers, but only three of them used Vue, the other one was on the server side. The project started at the end of November 2016. For my luck thing got well and all members loved Vue, the project took 2 months to be completed and while we were working, the others coworkers became very curious about how it was going. The team was sure that Vue would take a big space inside the company. The first project was completed, and now we have to spread our will and motivate other teams to start using it and consolidate Vue on our company. On this Expansion, we didn’t need too much work, because other teams members were already studying Vue and using on personal projects, so it was a matter of time. And so it was, another big project accepted the challenge and started refactoring their project in jQuery to Vue gradually, and other products of their team would be using Vue. Now we have two teams using Vue and a lot of coworkers interested in and it doesn’t stop here, other employers that now are in other companies in the region, took Vue with them, and other 2 companies are using it too (I’m not sure about it, but the rumors say yes)! and in my opinion, everything came with our group studying the best option to work within the last year. Of course, that use Vue wasn’t the silver bullet of our problems, as the teams in our company hadn’t a practice to test their projects using unit tests, this is a mistake that we’ve taken for years. So as we started the next product, we’ve put in our minds that any product should be delivered without unit tests, Testing Vue would be a challenge because it doesn’t have any big tutorial to test it or a best practice guide to test components, but we knew that using the vue init template with webpack, the project already came with all testing tools that we needed to start. That was the opportunity that we have to see inside Vue, and start taking a big sight of the whole thing. All these testing problems deserve an exclusive article in the future. Now we test all our components and everything fits pretty well as we build our product. My opinion is that you should focus on testing your apps because it gives you a good idea of the responsibility of each component you build. When you start testing it might look an extra work, but listen to me, after you take the practice, it will look a part of the job and it won’t take too much time to test, it will look normal, so start testing today! 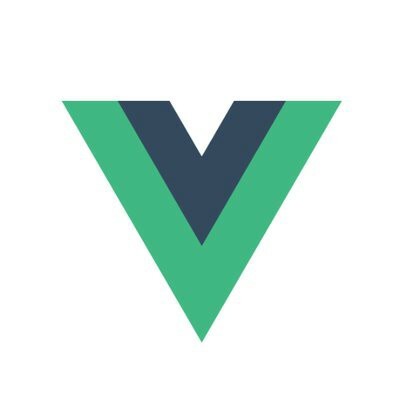 We are using Vue about one year, and I do not regret! Everything is going well with our projects and products. Give a chance to Vue and you will not be regret too! Thanks to my coworker that helped me in this journey, to everybody on the company that gives us the strength to keep going and of course to this amazing community that builds Vue with so much love! Thank you all! I’m sorry for my poor english, I’m not usually writing in english and I hope that this article helps people to think twice on choosing a Technology and take Vue as another option.